What’s the Difference Between “Alimony” and “Palimony”? People often confuse the legal terms “alimony” and “palimony”, therefore, the aim of this article is to set the record straight. In a nutshell, alimony is court ordered spousal support that one spouse is ordered to pay to the other during and/or after getting divorced. Palimony on the other hand is basically alimony for unmarried cohabitating couples who split up. However, it is important to note that state laws differ widely when it comes to palimony and that palimony is not legally recognized in Florida. Continue reading for a general overview of how both alimony and palimony operate, but for case specific information be sure to consult with a local spousal support attorney. The tax consequences of an alimony award. Temporary Alimony: Alimony that is awarded to financially maintain one spouse during the divorce process. Temporary alimony terminates when the couple’s divorce is finalized. Bridge the Gap Alimony: Alimony that starts after the divorce is finalized but that is only intended to help the receiving spouse meet their short-term needs. Bridge the gap alimony cannot last for more than two years. Rehabilitative Alimony: Alimony that is meant to sustain a spouse while they acquire the education or training that they need in order to obtain appropriate employment after getting divorced. Durational Alimony: Alimony that lasts as long as the marriage did. For example, if a couple was married for five years then their durational alimony award only lasts for five years. Permanent Periodic Alimony: Alimony that is awarded to a receiving spouse whose economic need is likely to be permanent. The goal of permanent periodic alimony is to allow the receiving spouse to maintain a comparable lifestyle after their divorce is finalized. Lump Sum Alimony: Alimony that is paid all at one time in order to accomplish permanent alimony, rehabilitative alimony, or bridge the gap alimony, so long as the paying spouse can make the lump sum payment without falling into a difficult financial situation. It is important to note that not every one of the above types of alimony applies to each case. The case specific facts will determine the type(s) of alimony to be awarded by the court. Note that alimony can only be awarded in cases where the couple was legally married and filed for divorce. But what if a couple lives together for years as husband and wife without ever getting legally married? Some states recognize these couples as being in a “common law marriage” and will consider awarding palimony in the event that that the couple eventually splits up. However, as noted above, palimony is not a legally recognized term in Florida as the state does not recognize common law marriages. 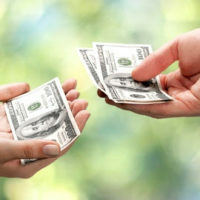 However, Florida will recognize and uphold a formal written agreement with your partner about future financial support considerations that would be paid if the relationship ended. These agreements are commonly referred to as Cohabitation Agreements. Therefore, if you are cohabitating with another person, and desire to protect yourself in the event of the relationship ending, you should consider the benefits of a Cohabitation Agreement. If you have legal questions about spousal support in Florida, or if you are interested in learning more about Cohabitation Agreements, feel free to contact the Law Offices of David L. Hirschberg, P.A. today. Family law attorney David Hirschberg has years of experience assisting clients in Florida with all of their divorce and family law legal needs and would be happy to put his extensive experience to work for you. Call our Boca Raton office to schedule a confidential consultation at (561) 288-8620.